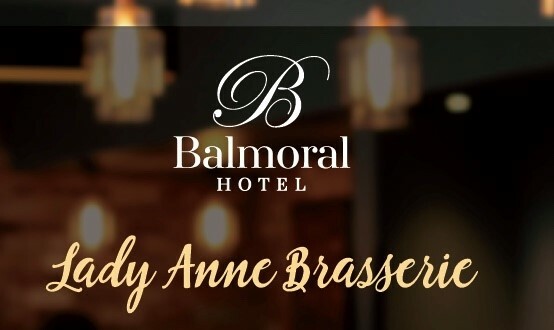 The Lady Anne Lounge at the Balmoral Hotel provides a casual dining experience in a comfortable setting. 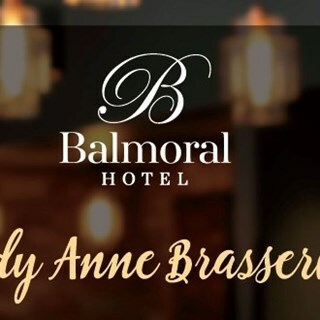 With an excellent new A La Carte menu, offering a full range of choices from light bites to mains, there is something for all the family. The Lady Anne offers friendly staff, great food and brilliant value. Food and service was great, would definatly be back. Great experience overall -- the atmosphere (ambience is too poncy a word to use, right? ), the service, the food and pricing. On arrival on Friday 8th March , despite having made an advance booking for 4 people at 20.30, there were no tables available. We were asked to wait. After 15 minutes we were asked if we would like to order a drink while we waited as there still weren't any tables. Staff weren't able to give an estimate as to how much longer we would have to wait but said it could be a long wait as they were "very busy"and other customers had overstayed so we decided to leave. Why provide a reservation service that is so utterly pointless ? If we had wanted to wait around for a table for an unspecific amount of time then we could have walked in without any reservations. Very poor service from Duty Manager and a complete let down. Made to feel very insignificant and of little importance. Glad the restaurant can afford to let customers walk out because of a lack of service. A very varied menu, plenty of choice and reasonable. Friendly staff and great service. Great food and really quick service. Staff were excellent. The food was extremely lack lustre. The turkey and ham looked like it was kept from before Christmas. The chicken goujons were soggy and the skinny fries were partly raw. Even the chicken wings were swimming in grease and as a main it didn't even get a side. All in all a very unpalatable evening. In case you are wondering why I said nothing I was prevented by my wife and daughter. The Service was nowhere near as good as it had been when I was there just before Christmas, but it was New Year's Eve, so that was understandable. The 3 course set menu was lovely and great value for money. I loved the idea of entry to the Gala Ballroom and a reserved table. There was a good DJ and the Band was brilliant , really made the night. Great atmosphere, we thoroughly enjoyed ourselves, thank you. We will be back. Excellent service. The waiter was extremely helpful and attentive. Thank you . Wonderful surroundings, very clean. Great staff, gorgeous food and excellent value for money! Very professional set-up. Will be spreading the word and will definitely be back! Thank you, it was my Mum's Birthday treat and she loved it! I left a TripAdvisor review too of the service I received. I loved the place, I took my elderly Granny and my aunt for her birthday and she can’t drink so I really appreciated that you guys could make her a mock tail so she could feel more special. And the food was beautiful, atmosphere and cleanliness was perfect. 3 staff served us over the course of the meal and they were all well dressed, polite and well mannered. My only slight compliant, which isn’t that big of a deal, was that when we got the bill we did wait a little longer than I would have expected and I actually had to get up and pay as I was leaving because nobody came back.